Shockwave.com - Max Altitude Snowboarding: "Max Altitude Snowboarding"
Finally, all the sweet thrills of snowboarding without the expensive lift pass. Scream downhill and take the jumps at max velocity to grab air and execute tricks like shifties, nose grabs, method airs, front flips and more! The desire to drive ridiculously fast is something that is implanted in many human beings. If you’ve ever tried this on a public road, things called speed limits and road rules have probably thwarted you. As much as you try to deny their existence, they are there for a reason. The general public doesn’t always have the ability to rent a sweet ride and take it on the racetrack, which has caused many aspiring racers to cry themselves to sleep in their NASCAR bedsheets. Simulated racing is definitely not the same as the real thing, but it should help to tide you over for the time being. When you feel the need for speed, give The Open Racing Car Simulator (or TORCS) a try. I didn’t quite know what to expect from this free racer, but I was rather impressed when I tried it out. Free applications can either be dreadful or fantastic, depending on how much work the developers wanted to expend for free. I would have to say that this one comes away with a trophy. The graphics are actually really good for this type of a game, and the control is pretty realistic. You can actually pull off some respectable drifting, which is always fun. There are a variety of gameplay modes, and a number of different tracks and cars are in the game, as well. If you’re looking for a quick race, get your fix with The Open Racing Car Simulator. While the official title is "American McGee Presents Scrapland," we think you'll agree that Scrapland says it all. You play a "consciousness" that can inhabit many different kinds of robots in a futuristic, post-human Earth that is run by cartoony machines. Your character is a robotic investigative reporter who has to gumshoe his way through a crime investigation, taking control of other robots, dodging the cops, and flying odd aircraft in the process. BrainyHumor - Free Online Games: "Fun and Games "
You want some games then look no further. 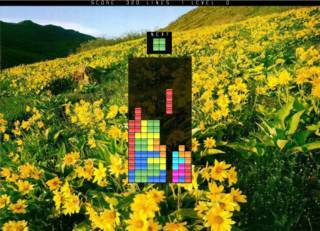 You can’t say addictive and gaming in the same sentence without mentioning Tetris. It’s another classic example of a ridiculously simple gaming concept that keeps people coming back for more. I’ve never been that interested in the game, but some people live for it. These are the individuals who are able to stare at a brick wall and play a pseudo game in their heads. If you’ve ever been that desperate to play the game, it’s time to start your block party with SPIDTRIS. 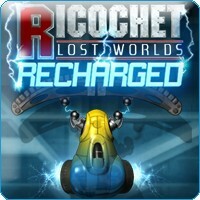 The award-winning game play of Ricochet Lost Worlds is back! From the talented minds of designers all over the world comes the most dynamic brick-busting experience ever! This wild and warped game has you smashing your way through over 350 beautiful and exhilarating rounds that are truly the best of the best. With its gorgeous artwork and innovative "Ring Game", you need to download it today. Rejuvenated, Reloaded...RECHARGED! Kwikgames.com - free games, action, puzzles and word games, retro classics and original new games! Looking for FREE games to waste a few minutes in the office? Want to relive the golden age of video games where you could spend the day munching away on Pacman or blasting away at Space Invaders? Or maybe you're looking for a brain teasing puzzler? Remakes of classic retro games, modern original puzzlers, Jigsaw puzzles, wordsearches, a quick blast... we've got it here! Our Flash games are all totally FREE and not only can you play them here online but you can also download them to play at home, email to your friends or even put on your own web site! Please put a link back to us "
I thought I’d seen all of the possible Space Invader rip-offs before, but this one completely blew me away. It looks absolutely gorgeous, and the sound design works well with the overall look of the game. Apparently space people love their electronic dance fusion. You can even place your own MP3 files in the game so you can blast away to your own tunes, whether they are Iron Maiden or Frank Sinatra. The powerups and level changes just make this game even more fun to watch and play. If you really want to have some fun, use your mouse to flip and turn the entire game screen! The angles that you can use make the experience that much better. I found Space Invaders OpenGL to be extremely easy, but the entire game package is very well put together. What this developer has done with a classic game like Space Invaders just shows that you can teach an old game new tricks. Quench your thirst for addictive puzzle action with Mad Caps! Switch bottle caps to line up three or more of the same color and remove them from the board. Use power-ups like rockets, ray guns and alien creatures to help you reach your goal before time runs out! Featuring a kitschy style reminiscent of the 50s, you'll gulp down nothing but fun with Mad Caps!" bansheestudios.com - Downloads: "This game is inspired by Konami's 1970's classic game of the same name. We've kept all of the original elements of the game but changed the gamplay completely to a 3D first person perspective. Set in 'Cartoon World' Mr. Frog has to cross a busy road and then navigate the perils of a fast flowing river by leaping from log to log to get to his lilly pad." The Adelphia Power Page: "Home > Children Spotlight"
GREAT links to all the kid safe sites. Full download PC games collection, new and free games download, latest PC games, full game downloads, buy PC games: "Download PC games new latest full"
Five quick questions, asked by Einstein. Go there and see how many you know the answer to. Word Games and Puzzles Online from A Game A Day: "ENJOY a new word game, word search, brainteaser, trivia game, anagram, cryptogram, crossword and more each weekday! CHALLENGE your general knowledge, vocabulary, spelling, memory, concentration, critical thinking and problem solving."